Last week Ivonne and Jimmy sent me some pictures from the Greek evening they made. I must confess the meal looks so yummy! They had: Dolme with Tzatziki, filled tomatoes and filled eggplants and fish with tomato-sauce. I wished I could have joined the meal! 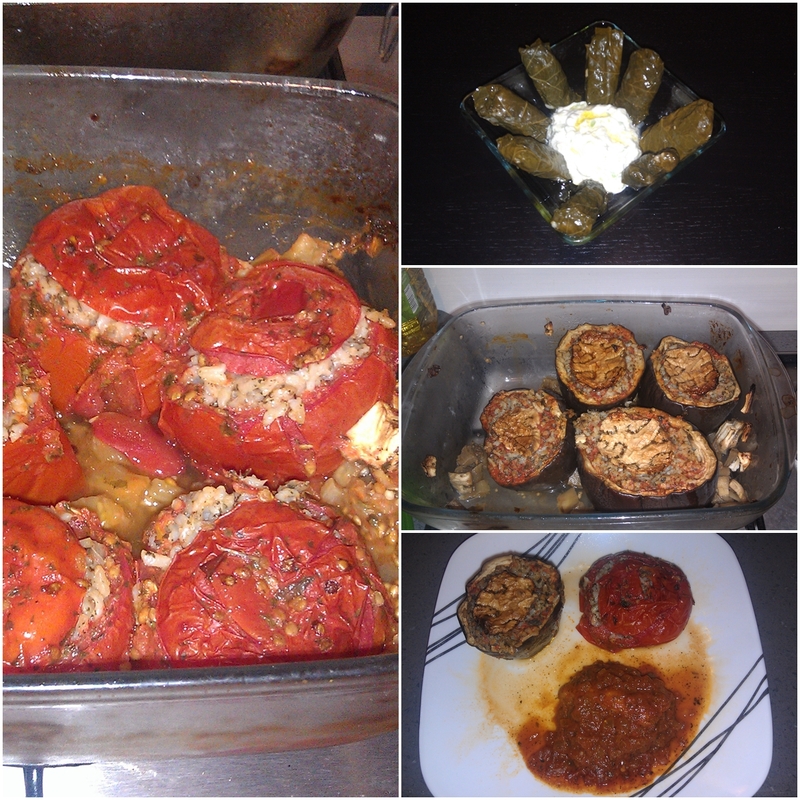 Filled tomatoes, dolme with tzatziki, eggplants and fish with tomato-sauce.